Sasol’s shaped carrier products are the ideal solutions for highly selective catalytic processes that necessitate materials with customised porosity and surface properties. 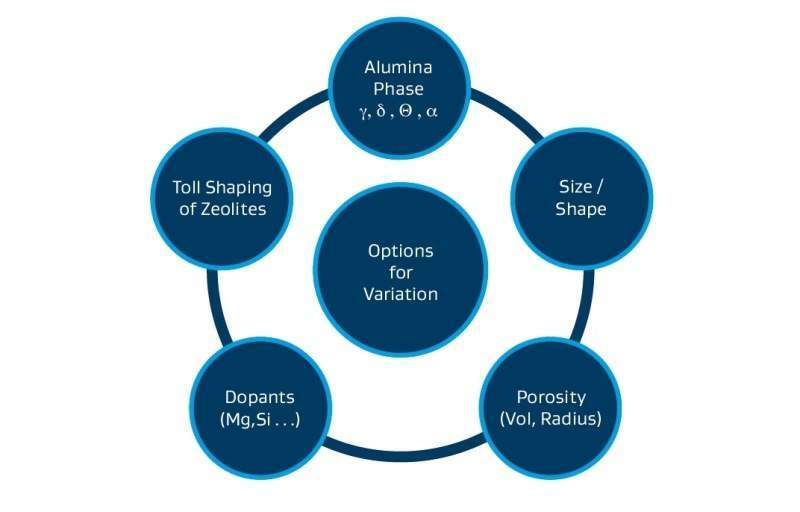 In these scenarios, the choice of the most suitable support material is the first crucial step in the preparation of advanced heterogeneous catalysts. The individual properties of Sasol Alumina powders such as level of purity, porosity, surface area and dopants are preserved during the shaping processes. Sasol Alumina shaped carriers are available as extrudates, spheres and tablets in various sizes and shapes. In addition, individual parameters can be modified at customer’s request. Download our free brochure for further details regarding the respective qualities of each of our carrier products.